With the new Vehicle Emission Scheme (VES), more cars are subject to higher taxes. Thus renewing your used car’s COE is a much more practical option than buying a new car. 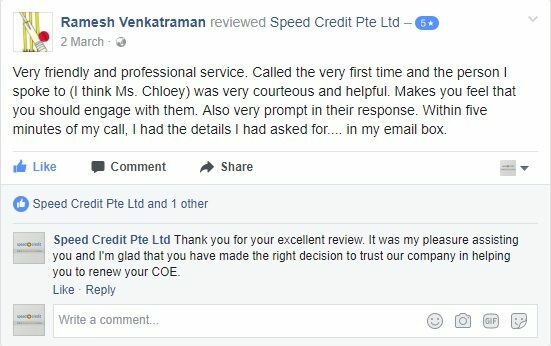 Since 2000, Speed Credit has helped hundreds of used car owners in retaining their cars through our COE Renewal Car Loan Service. However, if you wish to go for a 5 year renewal term, you will need to pay only 50% of the Prevailing Quota Premium (PQP). Please take note that if you choose this option, your car could not be renewed again, thus your car will be de-registered once it expires. Did you know that it is possible to get 100% PQP loan? 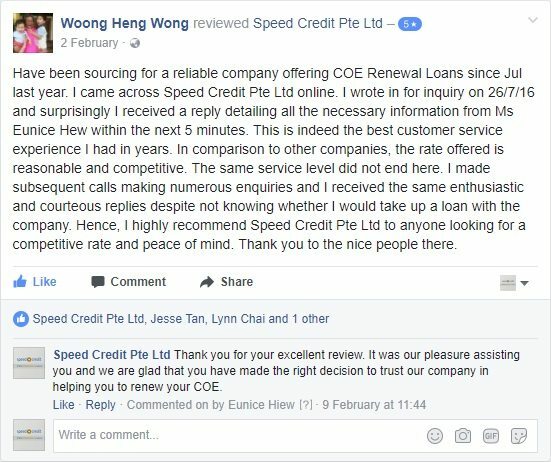 Contact us today at +65 6444 4400 for more information about our COE Renewal Car Loan Service and PQP loan rates. We will notify you within 1 working day regarding the status of your COE Renewal Car Loan Application. 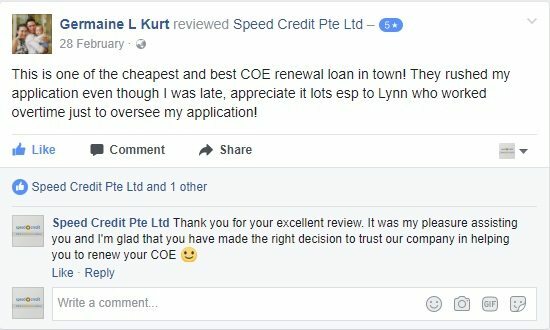 Once your COE Renewal Car Loan Application is approved, our car finance specialist will contact you for further instructions. Maximum loan amount is 100% of PQP. Loan applicant’s minimum income should be at least S$20,000 p.a. or 3x higher than its monthly loan installment. For vehicle that is renewed for 5 years, maximum loan is only 4 years. For vehicle that is renewed for 10 years, maximum loan is only 7 years. 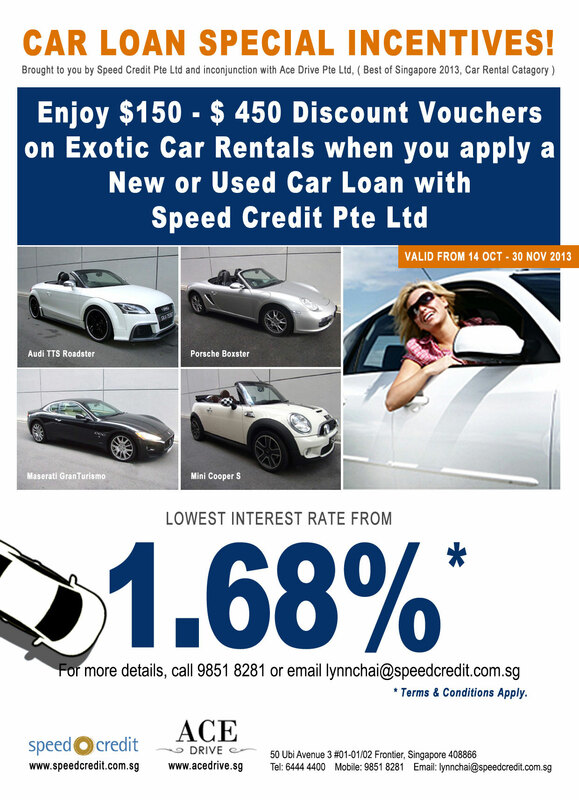 Interest Rate for our COE Renewal Car Loan depends on the age of the vehicle and loan tenure. 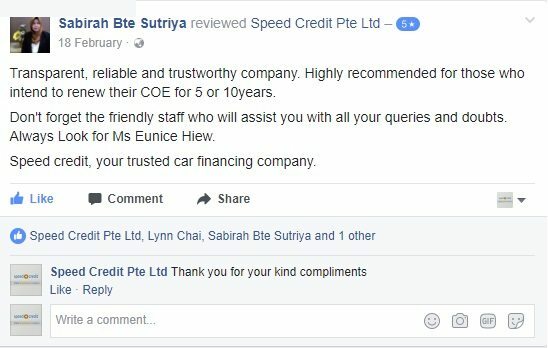 For more information about our COE Renewal Car Loan Service and interest rates, you can contact our friendly car finance specialist, Lynn Chai at +65 9851 8281.